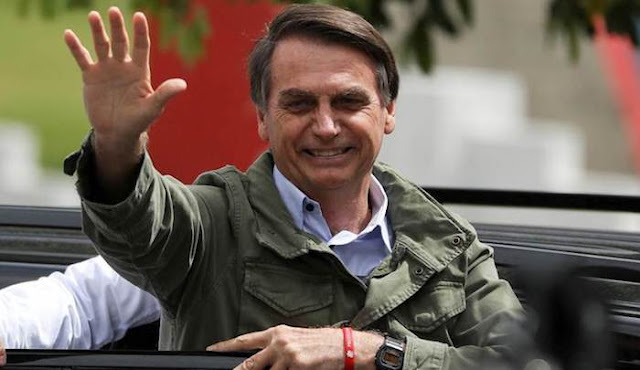 RIO DE JANEIRO (JTA) — Brazilians elected a president who is a far-right, ardently pro-Israel veteran pol who once declared “My heart is green, yellow, blue and white,” in a reference to the colors of the Israeli and Brazilian flags. We are going to change the destiny of Brazil,” said Bolsonaro in his late Sunday night acceptance speech broadcast from his home in Rio, which showed a Jewish menorah in the background of the video. Highly divisive among Jewish voters, the Conservative lawmaker — whose middle name, Messias, literally means “messiah” — won the ballot after a drama-filled election that looks set to radically reforge the future of the world’s fourth biggest democracy, leaving nearly 15 years of far-left governments behind….